At least 500 delegates are expected at the conference. 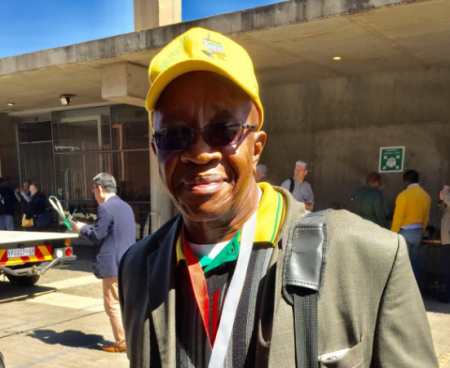 A consultative conference organised by the African National Congress (ANC) stalwarts and veterans will finally get under way at Constitution Hill, Johannesburg, on Friday. The elders’ consultative conference, which they believe is a way forward in resolving the governing party’s internal battles, had been postponed several times. They had been calling for the consultative conference since last year, and felt the ANC national executive committee (NEC) was refusing to support them. So they organised the conference on their own. The group of veterans include respected anti-apartheid struggle figures such as Andrew Mlangeni, Gertrude Shope, Denis Goldberg, Mavuso Msimang, Sheila Sisulu and Ben Turok. They authored a document titled For the Sake of Our Future in which they decried the deteriorating political and economic situation in the country, rampant corruption, “the inability of the ANC to act against corruption, nepotism, factionalism, arrogance and election slates in the ANC and its alliance partners”. They have since joined growing calls to President Jacob Zuma to step down. In July, the group boycotted a two-day consultative conference that took place on the eve of the ANC’s policy conference. They were demanding a fully-fledged separate conference that included ANC branches. The stalwarts said there was a “groundswell” of support for a national consultative conference, they said. The elders held an elective conference in October, where former SA Broadcasting Corporation (SABC) head of news Snuki Zikalala was elected president. As part of the agenda, the upcoming 54th ANC elective conference and the seven presidential hopefuls will also be discussed, the veterans said. “We look forward to the veterans league’s participation and critical input at the national consultative conference on the ANC. We have the opportunity to confront and collectively work to eradicate state capture, corruption and self-interest, that will always be at the expense of the majority of our citizens and benefit only the few. Invitations have been extended to the ANC top six, NEC members, labour unions, civil organisations and religious organisations. Former president Thabo Mbeki arrived shortly before proceedings could start. Professor Njabulo Ndebele will deliver the keynote address.